Commonly used to measure or define fitness levels, and other terms associated with athletic training. 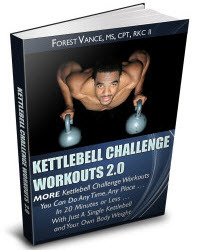 Terms such as aerobic and anaerobic will be appearing throughout this fitness guide and various training techniques to optimize fitness will be discussed in greater detail in subsequent chapters. We suggest that you take some time to familiarize yourself with the terms and concepts in this chapter as this will greatly enhance your ability to apply the information provided in the remaining chapters. Exercise physiology is a branch of science which studies how the body responds and adapts physically to exercise training or to an acute bout of physical exertion. Such information is used for designing physical education, fitness and athletic programs. Physical fitness includes cardiopulmonary endurance, body composition, muscular strength and endurance, and flexibility. The most important issue with respect to workouts is recovery. Rest is an exceedingly important factor in recovery from strenuous workouts, so back-to-back high intensity workouts are not encouraged. Experts recommend a hard day followed by an easy day, and at least one day of rest over a seven day period. This can be an excellent plan, but you should also let your body be your guide. Some days when you go to workout and feel great, this day can and should be a hard workout day. On other days when it is an effort to even get your workout clothes on, this should either be a rest day or an easy day. Swimming is an excellent exercise for overall fitness aerobic endurance, power, strength, and flexibility are all enhanced by swim training. It is generally gentle on the joints and provides excellent cross training for running and other gravity-intensive forms of exercise by providing load-bearing joint rest. However, training must be specific for the anticipated operational environment, including cold water acclimatization. This section will give you the tools to improve your swimming skills, thus enhancing your fitness for combat swimmer missions. Swimming workouts should be varied between easy days and hard days. For competitive speed, it is good to swim at least four days a week this will help keep stroke efficiency. Swimming days provide good relief for tight muscles generated by running and weight training. Many dedicated swimmers own an Exergenie, which is a truly simple piece of equipment that permits a realistic workout in freestyle or backstroke. It is a nylon line rigged up through a little cylinder that twists the line and provides resistance. This workout is possible even within the confines of a cramped 688 class (40 - 50 reps) can be done daily because the motion is so much like swimming. Thus, it is a portable weight room for swimmers. Cardiorespiratory Fitness Ability of the heart, lung and blood vessels to transport oxygen and to remove waste products from the exercising muscle. 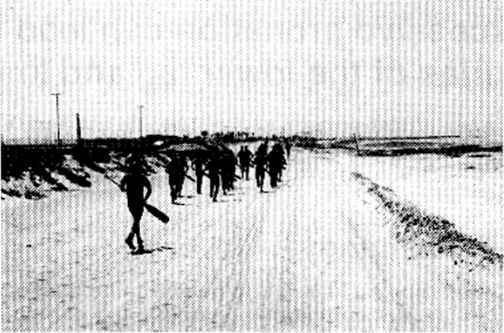 Exercise Planned, structured, and repetitive movements performed to improve or maintain components of physical fitness. The components include cardiorespiratory fitness, muscle strength and endurance, flexibility and body composition (see Introduction). Maximal Oxygen Uptake (V02max) A measure of aerobic fitness the maximal rate of oxygen uptake, and therefore aerobic energy utilization during exercise. Typically expressed as liters per minute or milliliters per kilogram (kg) body weight per minute (ml min kg). Physical Fitness Ability to perform physical activity. When reading the training methods presented in this chapter and throughout this guide, you will come across references to exercise intensity. Intensity is the rate at which exercise is performed. If you work out in a gym you may have used an exercise machine that monitors exercise intensity. A quick and easy method for measuring the intensity of your workout is by measuring your heart rate and checking to see if you are within your target training zone (see below). Measure your heart rate by taking your pulse at the carotid artery (neck) or the radial artery (wrist) for 15 seconds multiply this value by four to get your heart rate in beats per minute. Compare this heart rate value to your target training intensity. If your heart rate is too low, increase the intensity of your workout. If it is too high, reduce the intensity slightly. The work Fartlek means speed play in Swedish. It involves running at fast and slow speeds on both level and hilly courses. Unlike interval training, the fartlek form of training does not involve specific exercise and rest periods you do it as desired. For example, you may say to your buddy 111 race you to the next stop sign, and you would both run as fast as you can to that point. You may run at a slower pace for a few minutes, and then run fast again for as long as you want. In other words, it is a speed workout without structure. As such, it is well suited to general conditioning and provides variety to workouts. When you can continuously run for 40 minutes, begin thinking about your running mileage or distance. Most of you, unless coming back from an injury or returning from a deployment, are already running 30 to 40 minutes as part of your fitness routine. However, if you have been unable to run for some time due to reasons mentioned above or other reasons, start out slowly this will prevent you from getting injured and benefit you in the long run. If you swim regularly in cold water, your body will undergo some adaptive changes. This will increase your tolerance to some extent. 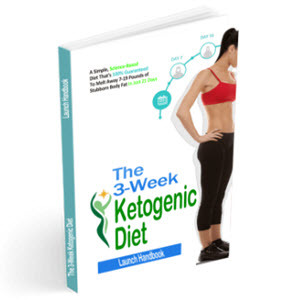 You will also begin to actually crave fatty foods, an instinctual tendency of cold water swimmers to want extra body fat to protect them This is a natural adaptation, but this may be undesirable for your running and overall fitness. The major reason to use a pool is the quality of training. Swim sessions may be closely monitored and are safe. Controlled interval workouts used in pool training sessions provide good feedback the pace clock doesn't lie. Pool sessions allow you to design workouts that vary in intensity and emphasis, which is not possible in open water. Pool training and acquisition of improved stroke skills are elective elements of a SEAL's training program. Pool training will increase your comfort level in open water, thus enabling you to significantly improve your operational capabilities. It is extremely important to consider muscle balance when designing your workouts. Building strength in the triceps should be balanced by strengthening the biceps, and strengthening the quadriceps should be balanced by strengthening the hamstrings. Without proper balancing of opposing muscle groups, you become vulnerable to injury. Many exercises can be incorporated into your strength training program. Table 6-2 presents a list of exercises by specific body parts, all of which are demonstrated in Appendix A. This translates into a complete body workout from the calves to the neck. 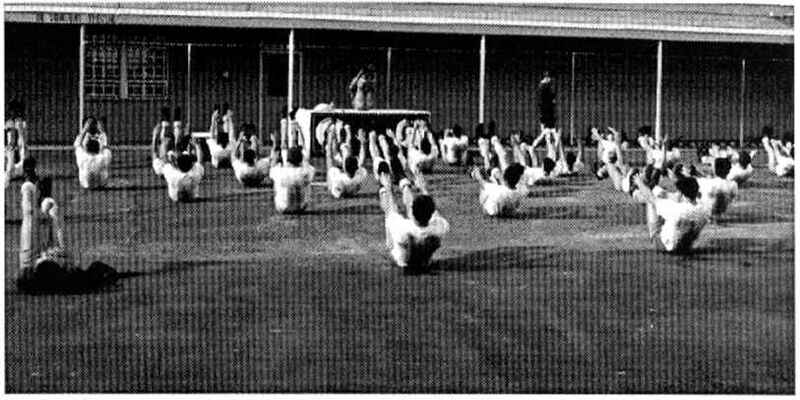 Flexibility exercises are an important physical fitness component and may add years to your operational life. For those who have been injured, the high mileage SEAL (see Chapter 14), or someone with naturally short muscles, a short flexibility program is provided in Table 15-9. The primary measure or predictors of one's capacity to sustain work performance is maximal oxygen uptake (V02max) or maximal aerobic (cardiorespiratory) capacity. V02max is measured in milliliters per minute (ml min), Liters min, or after adjusting for body weight in kilograms, as ml kg min a higher value indicates a higher level of cardiorespiratory fitness. Interval workouts stress the anaerobic energy systems and will increase your anaerobic threshold and power. Interval and fartlek workouts for running and swimming are described in their respective chapters, and such workouts for other forms of exercise are described later in this chapter. Exercise testing is often conducted for assessment of cardiorespiratory Fitness. Types of protocols currently used to assess cardiorespiratory fitness or aerobic capacity are incremental work rate tests, where the exercise work rate is increased by a uniform amount at predetermined time intervals, and constant work rate tests, where the subject works at a submaximal constant work rate for a specified time period. 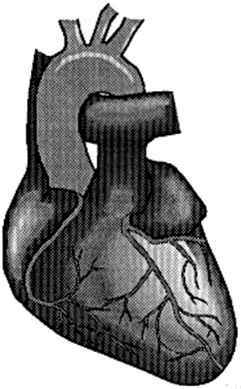 Your heart rate at the specific work rates are used to estimate maximal oxygen uptake. Although the most accurate test is conducted on a treadmill, a bicycle will give a good estimate. If you have access to a stationary bicycle, you can test yourself by using the incremental test protocol described. Although it is best to use a heart rate monitor, you can manually take your pulse at various times during the test. Regular exercise is necessary to maintain fitness. Beneficial effects of exercise are gradually lost or reversed after a few weeks off from training. This deconditioning or detraining effect will be discussed later in this chapter. Because of the nature of your missions it is imperative that you develop all aspects of physical fitness strength, speed, flexibility, and endurance. Therefore, it is important for you to consider your training in terms of the FITT principle. All four aspects of the FITT principle must be included to achieve the most benefit from your training program. 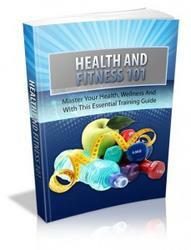 Number and intensity of workouts is important as is the time spent exercising and cross training (see Chapter 3). Information on how to determine your training intensity is provided next. Throughout this guide, we will continually stress the importance of warming up, cooling down, and stretching. These are integral parts of any workout, regardless of the activity. The cool down, or recovery period, is very important because it will determine how you feel several hours after your workout. There are two types of recovery active and passive. Passive recovery, in other words, just resting, was recommended many years ago, and is still recommended when you exercise below 50 of maximal capacity. Active recovery is now preferred for exercise exceeding 60 of maximal capacity to accelerate removal of lactate. This may help prevent muscle cramps, stiffness, and preserve performance during subsequent strenuous exercise. Other running surfaces include treadmills and water. 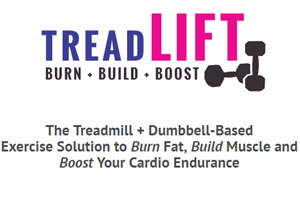 Treadmills are very popular at fitness centers and may also be available to you when deployed aboard a ship. Most treadmills are state of the art in terms of cushioning and you can control the speed and intensity of your work out. Perhaps the biggest problem when working out on a treadmill is the boredom that is often associated with the monotony of the unchanging environment and the consistent pace. A portable cassette player or radio may be helpful, particularly during longer runs. These are not the only interval workouts, so you may modify them to suit your requirements. For example, you could do pyramids you would start with a quarter mile, followed by a half mile, 3 4 mile, and mile, then go back down in reverse. Between each speed set, it is best to jog one quarter to one half the distance to accelerate recoverv. Consider biking, swimming, stair-climbing or other activities that will provide a good aerobic workout while mainly using muscles other than those used during running. A major benefit of cross training is that it prevents the onset of over-use injuries while maintaining fitness. For information about cross-training see Chapter 3 Cardiorespiratory Conditioning. Strength training, especially upper body strength workouts, have become an important part of a runner's overall workout. 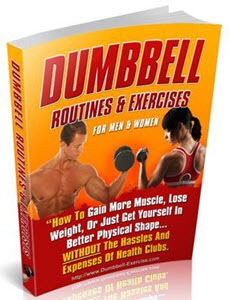 It is recommended that you strength train two to three times a week (see Chapter 6). A Circuit Routine Training for the first week of the strength development phase and muscular endurance phase is presented in Table 6-8 and Table 6-9, respectively. Workouts for the other weeks can be obtained by reviewing Table 6-6 and Table 6-7. Remember, periodization is the key to improving overall muscle strength and endurance. Physical fitness is a critical component of SEAL training, and being in shape is essential for mission readiness. A comprehensive whole body conditioning program has been provided for you to use in your training. In addition, RADM Smith's PT program and a training program for confined spaces and for SEALs coming off travel have been included. Alternative exercises have also been provided to maintain motivation and optimize the concept of cross-training. 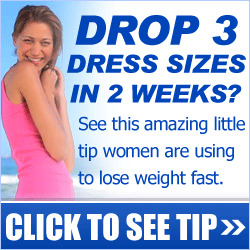 Try it, you may find yourself in better all around shape. Running for Fitness training program and provides an excellent aerobic workout. Moreover, it is not expensive most of the cost of running involves buying a pair of good running shoes. If you train intelligently and have the right gear, you can continue to enjoy the fitness and general sense of well-being that accompanies running while avoiding running injuries. In this chapter, basic-information is provided for maintaining a sound, middle distance running (20 to 40 miles week) program this is adequate for running 1()K and half marathon races. Some of you may consider running a marathon in the future at such a time you may want to get training tips from experienced marathoners, trainers at a running club or running magazines. Ridiculous and foolish, they may help your heart but do nothing for your body. Running is great for the heart but does nothing for the outside appearance of your body. 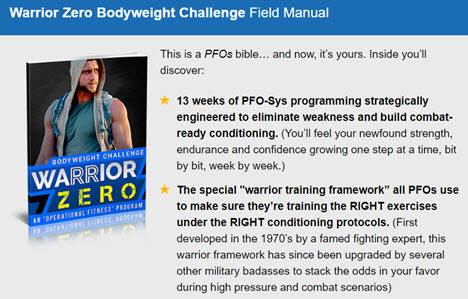 In short most book currently available on fitness are just books that are concerned with getting your wallet shaped smaller, not shaping you into some sort of perfect person. 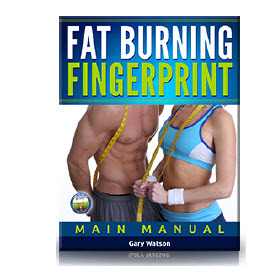 I conclude this book on fitness and body shaping with a chapter l have never seen in a fitness book. Meditation. I don't believe you can have a perfect body if you are a perfect fool or have a messed up mind. You can't achieve the results you want in your program if you can't concentrate on the muscles when exercising or can't stay on your diet. So I show you some techniques of meditation that can help you to achieve a better understanding of your mind and your body and how they are related to each other in your total fitness program. Modern research has shown that the traditionalists were on the right track about the morning and evening being the best times to practise. People are more inclined to skip scheduled exercise in the mid to late afternoon because of fatigue or busy schedules. However, high-intensity activity, like fast or fast slow forms that require short bursts of energy are best done late in the day. You will feel stronger, perform more skilfully and get more out of your workout. For slower or steadier exercise, you will reap the same benefits whether you practise early or late in the day. That's all there is to it -- but it's easier said than done. Heavy barbell rows are brutal. They not only demand a lot physically, they require extreme concentration in order to derive ultimate benefit and prevent injury. They aren't a knock out a few sets and get it over with exercise by any means They're the real deal. And when you set your mind and motivation toward making them the main movement in your back workouts, you're going to see some drastic changes. It wouldn't be an overstatement to say that all you need for a great back are chins and barbell rows. Everything else is just fluff. The following are the most grievous don'ts you can make during your workout. Think of them as the seven deadly sins of bodybuilding They are designed to help in creating the ideal physique in the least amount of time, while avoiding setbacks. Learn them. And avoid them at all cost. Factors Affecting Duration of Phase The length of this phase is a function of the individ-uals fitness level, need for absolute strength, and the length of the total training cycle. Athletes with a greater need for absolute strength, such as grapplers, will spend considerable time in this phase, while athletes who do not need great levels of absolute strength, such as fencers, will spend only brief periods in this phase. Since hypertrophy in part depends upon motor unit recruitment, more strength often equates to more muscle mass, which is of interest to those who wish to gain functional body weight. For the workouts listed below, you will follow the Tabata interval pattern (20 seconds of work, followed by 10 seconds of rest, repeated for 8 continuous cycles). When transitioning from one exercise to the next, try to begin the next exercise without exceeding 10 seconds of rest. If this is too difficult, you may rest up to 1-minute. People who are starting to practise Qigong o.ften ask if it is all right to participate in other sports such as swimming, football, tennis, weight training and so on. There is no reason why you should not continue to enjoy these activities, but you will of course be using up the Qi that you have stored. This is because fitness training in the West is based on the principle of 'No pain, no gain'. People push their bodies until they are hot, sweaty and exhausted, after which they need to eat and sleep in order to recharge their energy. Eccentric) training can be very useful for both strength and hypertrophy development, but extreme care must be used for the sake of safety. Because this type of training can cause extreme soreness and muscular weakness, it should not be used during the competitive period, or prior to difficult skill-development workouts. From the point of view of modern athletics, Shuai shiao is a sport which has benefits beyond the general advantages of participation in physical activity (e.g., physical fitness, general health, mental alertness, enhanced coordination, etc.). The study of Shuai Chiao enables the student to defend himself without weapons. Because the emphasis of the art is to subdue the opponent as painlessly as possible, the art is regarded primarily as one of throwing techniques. However, it also teaches punching, striking, kicking, grabbing, controlling, breaking and other effective martial techniques to employ if necessary. Such as running, cycling, stair climbing, swimming, rope-skipping, and so forth. This aerobic foundation is what creates the necessary machinery which will serve to create a better anaerobic working capacity later in the cycle. In other words, as aerobic fitness improves, athletes are able to work harder and longer before reaching the lactate threshold. As I have mentioned previously, the young athlete who is new to resistance training can make improvements by following the simplest exercise programs. Make sure each workout is short & intense enough to reap the benefits, but not so grueling where you do not want to come back for more. I like to leave my athletes wanting to train a little bit more. This keeps them coming back with great energy each workout. A strength training program is not going to make you feel like you just finished a wrestling practice. We are training for strength & power, so the workout will obviously be different Do not approach strength training like a marathon. LaLanne designed many of the exercise machines himself and personally worked with each gym member. The gyms proved so successful that a fellow bodybuilder by the name of Vic Tanny decided to go national and open a chain of gyms across the country. He had the right idea but it was twenty years too soon. Vic's lofty dream of profiting from bodybuilding proved to be a little too radical. The franchise went bankrupt less than two years after it opened. The novelty was wearing thin. People were enjoying the post war economic boom and getting back into the good life. The quest for bigger cars and homes replaced the desire for bigger muscles. It looked as if the fitness craze was finally over. It is important to allow yourself rest between intense conditioning sessions. It is equally important to develop a solid foundation of fitness before jumping into these routines. I recommend 4 weeks of moderate paced running before starting the interval and sprint routines. Always remember that you must build your house of fitness on ROCK not sand. If you rush into these exercises, you are asking for injury and excessive soreness. And in case you haven't heard, weight training is exercise. Which brings me to my next point. When I was studying to get my certification to be a personal trainer, there was a point where the instructor told the class that weight training will not improve one's cardiovascular condition, to which I just had to say, excuse me Um, professor. Are you suggesting that if you were to take a previously untrained individual and put him on a weight training regime for six months, that at the end of that time he would show no improvement in cardiovascular ability than from the day he started The instructor looked me square in the eye and said Yes. Put your feet against something hard, like a wall, you do not have to put them under anything. Cross your arms in front of your chest or hold both arms in front of your chest. DO N0T PUT YOUR ARMS BEHIND YOUR HEAD. This hurts your neck. DO NOT GO ALL THE WAY BACK to the floor. It is not necessary and does more harm than good. I like to lean to the right for about 50 sits up, then lean to the left side for 50 sit ups, and then do 50 in the middle. This gives a good workout to my obloquies as well as my stomach muscles. I like to do sit ups for at least 10 minutes. This is an interesting method of varying your training. 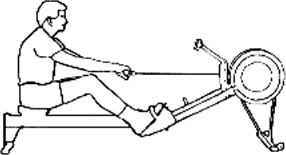 You will be varying the speed of the exercise during the same set of an exercise. For example, on the barbell squat, let's say you have a weight where you can complete 10 perfect reps. On reps 1 and 2 you lower yourself slowly, taking 8 seconds, and up slowly, taking 5 seconds, then on reps 3 and 4 you move quicker, 4 seconds downs, and maybe 2 or 3 seconds up. This allows the athlete to work the muscles differently, and keeps the body responding to a new stimulus. In fact, as a beginner, before you increase your weights, try using the tempo contrast method for 3 weeks. 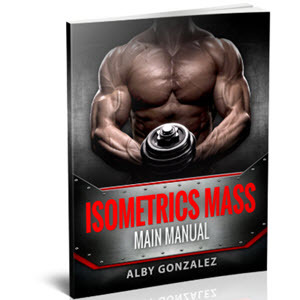 This is a safer way to intensify your workouts as a beginner as opposed to lading the weights on. It also gives you more time to master your exercise technique. If you are doing an exercise incorrectly, it doesn't matter how heavy of a weight you are moving Do not worry about what your friends are doing in the gym. Focus on your own progress. Training physical strength while executing the circle walk practice can be accomplished in a variety of ways. If the practitioner wants to train the legs, he or she can walk in a very low posture or walk very slowly holding each step with the weight on one leg if the practitioner wants to train balance and stability he or she can execute a walking technique which incorporates high steps, or walk the circle on top of bricks if the practitioner wants to train the respiratory function or improve cardiovascular fitness, he or she can walk very fast for an extended period of time. After reading these common sense guidelines, readers may wonder why the following information on sports and fitness-related problems is presented. In response, knowledge and understanding of such problems can assist individuals to avoid them (in consultation with the attending sports medicine expert). Furthermore, information is presented to prescribe exercise protocols that will assist in the recovery process or in avoiding further complications resulting from the exercise. Qi The Journal of Traditional Eastern Health and Fitness Insight Graphics, Inc., P.O. Box 221343, Chantilly, VA 22022 - Steve Rhodes and his crew at Insight Graphics continue to provide readers with interesting information relating to all aspects of Traditional Eastern health and fitness. The magazine is produced in a very high quality format. Journal of Asian Martial Arts 821 West 24th Street, Erie, PA 16502 - This is a high quality publication which provides well researched articles in a scholarly fashion. Few areas of training can define martial arts spirit more clearly than sparring. From 1984 until about 1989 I was training three times a week in a dark, nasty boxing gym with American karate legend Joe Lewis. The only reason we would miss the workouts was the scheduling challenges his seminars sometimes presented. The fighting was hard, brutal and as intense as you can imagine climbing into a 12 foot by 12 foot ring with the man named as the greatest fighter in the history of karate could be. He taught me that the fighting should be as real as possible. He also confirmed my opinion that point karate had little value in instilling the tenacity or attitudinal conditioning necessary to go three rounds with anybody, which we agreed should be a minimum standard for a professional black belt. This routine includes 5 days of skill training, 3 days of core training, 3 days of conditioning, and 2 days of strength training. The strength training days will involve a total body workout. These workouts have been placed at opposite ends of the week to allow time for recovery between workouts. Balance training and flexibility work should be included during each day's warm-up session. Also, resist the human tendency to classify new information as simply bad or good. Simply listen. Observe. Consider. If the information seems logical and there is no reason to discard it, then conduct an experiment of one, using oneself as the guinea pig. Carefully integrate the new technique or method into the training plan. Allocate a reasonable period of time to evaluate the effectiveness of the experiment. If it seems like sport-specific fitness has improved, that indicates at least a reasonable assurance that this new element has a place in the training plan. Tuesday and Friday would be perfect for high intensity upper body workouts. You must balance your upper and lower body intensities to ensure maximum results while avoiding over-training a particular muscle group. A common question that I receive is whether or not it makes sense to perform pushups (or any other bodyweight exercise) on a daily basis. Unfortunately the correct answer involves more than a simple Yes or No. You should not perform pushups to complete exhaustion every day. It is beneficial at times but not for every workout session. Failure training is valuable as a means to measure progress and develop indomitable willpower. However, training to failure every day will lead to over-training which is why you must balance your intensity throughout the week. Unfortunately most of us must work for a living. There will be days when you stay late or perhaps you must cram for an exam. It is easy to use these situations as an excuse to skip a workout. Do not fall into this pattern. You can get a great workout in just 10 minutes. Consider that it takes approximately 15 minutes to perform 500 Bodyweight Squats. There is one quick workout that I guarantee you will feel No matter how busy you are, you can find a few 10 minute intervals in your day to accommodate a quick workout. Qi The Journal of Traditional Eastern Health and Fitness Insight Graphics, Inc., P.O. Box 221343, Chantilly, VA 22022 - Steve Rhodes and his crew at Insight Graphics continue to provide readers with interesting information relating to all aspects of Traditional Eastern health and fitness. The magazine is produced in a very high quality format. Skill training - If you participate in competitive athletics, skill training will be very important to your success. All of the conditioning in the world is useless if you lack the skills necessary to deliver your technique. Boxers, wrestlers, and mixed martial artists often dedicate 5 or more days per week to skill training. Bodyweight exercise is very useful to these athletes. You can perform a strength or conditioning routine either before or after your skill training session. Many of the routines that I have created do not take long to complete. I designed these routines to be intense, without taking up too much of your valuable training time. I did this to accommodate those athletes who spend considerable amounts of time in the boxing gym and dojo. These routines will maximize your strength and endurance as quickly as possible.